The designs are visually appealing for babies as they are high contrast patterns. 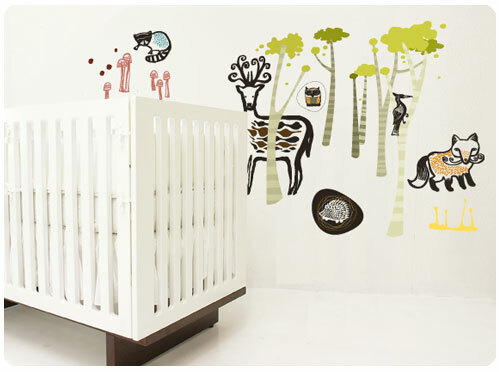 I chose the woodland graphics above for Isla's room. She loved just looking at the animals at first and now she's talking she loves to name them and say "night-night" to them all at bedtime. I think they will help with her imagination and they're a break from the usual nursery decor. We love Isla's woodland! Seize the Days - live life to the full!